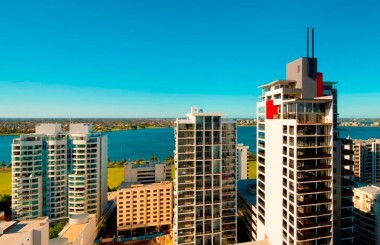 Located on the southern side of Adelaide Terrace, Rise Apartments has enviable views of the Perth CBD, Swan River and across to the hills on the east. The finished development is impressive, featuring two and three bedroom apartments, a swimming pool, spa, sauna, sundeck, barbecue facilities and a fully equipped gymnasium on the roof top terrace. Lawrence Scanlan & Associates Pty Ltd.
Perth-based boutique multi-disciplinary architectural practice.